WILL YOU JOIN US WITH A GENEROUS DONATION? Together with our Palestinian and Israeli partners, you can refuse the narrow straits of fascism, tribalism and division. Israel's passage of the Nation-State bill and the continued shooting of thousand of unarmed Gazan protestors means it is more important ever that Jews, and those who care about our community, take a visible stand for co-resistance and solidarity. Pay for transportation, banners, workshop spaces, and organizing materials to convene dozens of Jewish, Israeli and Palestinian activists in shared resistance work. 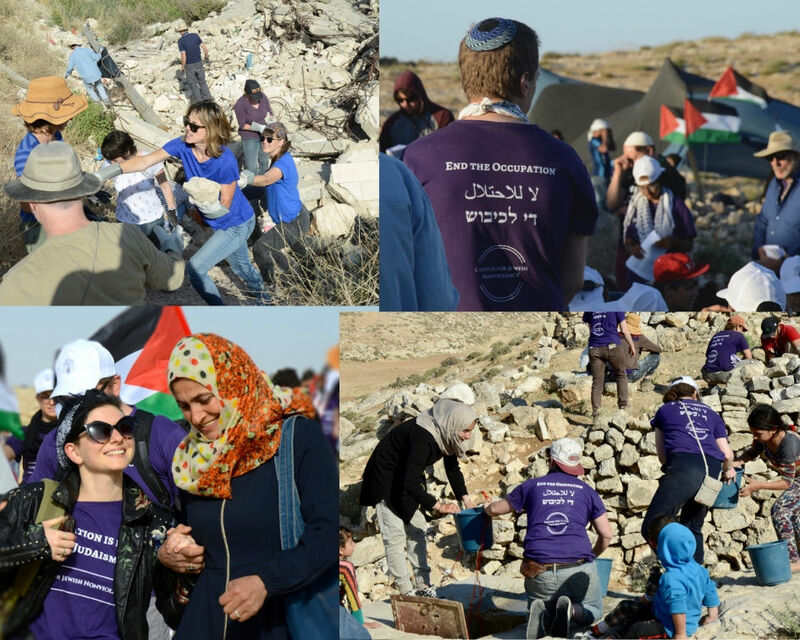 Purchase shovels, wheelbarrows, jackhammers and work gloves for community co-resistance projects that equip Palestinians with the tools they need to maintain their land and rebuild their homes. Secure the long-term sustainability of this grassroots movement. Help build this network of solidarity and co-resistance by donating today. *Donations to the Center for Jewish Nonviolence are tax-deductible under US law. The Center for Jewish Nonviolence is a fiscally sponsored project of Nonviolence International. Nonviolence International has partnered with Give Lively to securely process your online donation. This transaction will appear on your credit card statement as "Nonviolence International". This transaction is subject to Give Lively's Terms and Privacy.